DO I NEED PLANNING PERMISSION FOR AIR CONDITIONING? Installing Air Conditioning Units on residential premises will most likely require Planning Permission. This is due to the change to the external elevation and the added generation of pollution. For more information on Planning Permission for Air conditioning, including Case Studies, Please see our dedicated Air Conditioning page. Do I need planning permission for air conditioning is a common question that many inhabitants of Europe ask before installing one of these heating systems. The answer to this question is yes, if there is going to be an air conditioning unit installed, you must have planning permission for it. 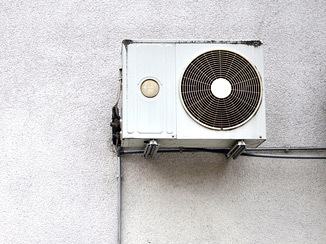 There are several things that can affect planning permission for air conditioning. The size of the windows and their positions, the heat generated into a room, the area of the floor in a room, and the number of occupants in a home are a few things that influence the decisions that can be made for the plans to install an air conditioning unit. Portable units, as well as window units can be fairly noisy, so this is one aspect that will need to be taken into consideration before an air conditioning unit can be installed. If the unit that is going to be installed inside of a residence is going to mounted to the wall, there must also be an external fan set up to allow the air to blow outside, as in the exhaust for the unit. Units must be serviced regularly, at least on a semi-annual basis to ensure that they are operating properly, and running to code.